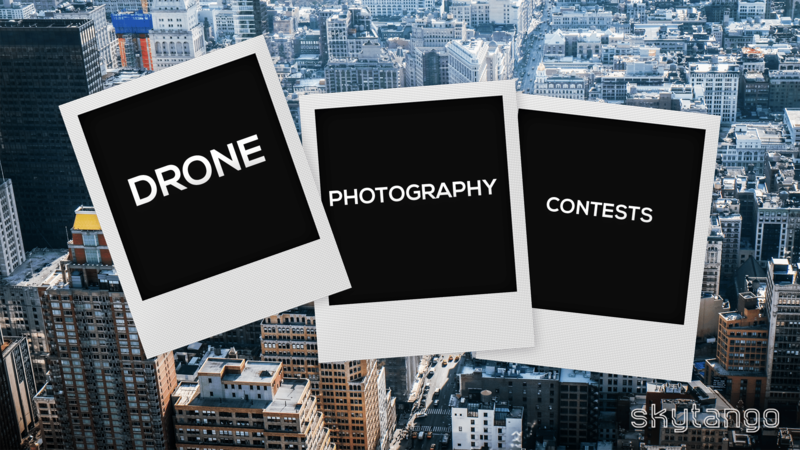 We list the top drone photography contests held throughout the world and online, where aerial and traditional photographers using drones can get exposure and win some really cool prizes! As drones become more freely available, drone pilots will capture more and more amazing footage and images from above. And where better to showcase these amazing images and gain exposure than by participating in a drone photography contest or festival. There are a limited number of festivals, but it does mean ‘quality over quantity’. Participation is extremely high as well as competitive for those drone photography festivals contests & competitions out there. We’ve listed here a variety of different photography festivals and contests drone users can participate in, including other events such as drone film & photo festivals and generic photography contests and festivals provided they feature specific “aerial” or “drone” categories. Prizes for the winners range from cash to increased exposure via social and digital platforms or both! The upsurge of drone photography competitions has grown in tandem with a number of drone users itself and we expect to add to this list as the year goes on. Launched in 2014, Dronestagram hosts an annual international aerial photography contest, organized with the continuous support of National Geographic. Last year was brim-full with drone photography contests at Dronestagram, and we sure enjoyed seeing so many breath-taking photos in the areas of travel, adventure, sports, nature and wildlife. This year’s contest details haven’t been revealed yet but we’ll keep you updated once we know! SkyPixel had the biggest aerial photography contest in the world in terms of entries last year and the popular photography event takes place at the end of each year. There were over 27,000 entries submitted in 2016 from all over the world, capturing the beauty of our nature, culture, and spirit. Contestants are separated into two groups – professionals and enthusiasts, allowing for fair competition. Prize: Grand Prize – The Ultimate Pilot Experience (DJI Inspire 2 Premium Combo as well as return airfares and all-inclusive accommodations, total value AUD$26,986), plus lots of smaller, but equally delicious looking prizes that will be greatly appreciated by any drone lover. SkypPixel partnered with DJI and Tourism Australia to launch their first ever country-specific aerial photography contest. Australia, with its magnificent landscapes, lush rainforests, cliffs and tropical mangroves, is a wonderful country to explore through drone photography and we really hope this contest will become an annual event. China’s second UAV photo contest hosted by SOHU UAV took place in 2016 and the 2017 contest has yet to be confirmed. There are no specific themes or categories. The only requirement is that the photo or video be captioned to correctly relate to the content that is being submitted. The images from the 2016 event captured some stunning results including an aerial view of a Beijing traffic jam which was the eventual winner. The final award ceremony, which takes place in Shenzhen, has a projected audience of over 350 million mobile users. So exposure for the contestants is priceless. DJI have partnered with the British Journal of Photography to find two photography projects that explore the creative possibilities offered by drones and their aerial capabilities. The prospective entrants are encouraged to explore a narrative that is enriched by drone shots. The Madrid Drone Film Festival is organised by Owen James who is also the organiser of the London Drone Film Festival. The festival itself includes a ‘Still Photography category’ and is held within the annual Spanish event Global Robot Expo that attracts a large international audience each year. The New York City Drone Film Festival is probably the most popular and recognized drone film festival in the world, as well as being the longest running. The ‘Stills’ category is the one aerial photographers should take note of. The Global Drone Film Festival, held in Atlanta, Georgia, launched in 2016 and has a slightly different structure to other drone film festivals. The categories are divided into three separate divisions focusing on women and young people. All three divisions take photo submissions as an entry. The Drone Film & Photo Festival, currently in its second year, takes place in Belgium to promote works that combine technical and aesthetic innovation in the field of cinema and general picture creation, bringing together professional and amateur photographers and filmmakers that are passionate about aerial images. The London Drone Film Festival has a ‘Still Photography’ category where aerial photographers shine and show off what they’ve got. The venue is in the heart of the English capital and a short walk to Trafalgar Square. There are many photography contests and festivals that include specific sections/categories that drone users and aerial photographers can utilize. We added below a list of general photography contests that drone users can participate in. The Light and Composition Award is a continuous photography award where photographers can upload their image into various categories. The image then gets selected for the prestigious ‘Photo of The Month‘ which can attract millions of views and boost exposure significantly for the winner. The competition has an ‘Aerial’ category. The Dong Gang Photo Festival is a 4 month-long photography festival that takes entries from across the world and is based in the Korean city of the same name. Entries from aerial photographers will be accepted in the ‘Aerial’ category. Regarded as one of the most prestigious generic photography awards, the Hasselblad Masters gives photographers across the world the chance to submit three photos choosing from 11 categories, one of which includes ‘Aerial’. The ND Awards gives both professionals and enthusiasts a chance to showcase their best work in photography and are judged by an international panel. There are 30 sub-categories spanning 6 main categories with aerial photographers being able to submit their entries via the ‘Aerial’ sub-category under ‘Nature’. Proify Awards out of Queensland, Australia is an online photo competition that has taken in excess of 4,000 entries to date from 62 different countries worldwide and that number continues to grow. The prizes range from financial to physical each year and the category we are interested in is the ‘Drone’ category. With a total prize pool of $4,000 in cash, the International Photographer of the Year award is gaining in popularity and together with the cash prizes, the winners can expect a lot of exposure, with their work showcased to a global audience by the competition’s partners. For aerial photographers, interest will be under the ‘Nature’ category. I hope you enjoyed our list of top drone photography contests for 2017. Now just pick the best drone photography festival for you and we wish you the best of luck! If you know of any other drone photo contests or photography contests with “Drone” or “Aerial” categories, please let me know in the comments! And if you make videos too…don’t forget to check out our list of the top drone film festivals for 2017 where we have more than 15 different events taking place across the world!